Dill pickles are very popular in Germany. Unfortunately, they are not so easy to make raw and with no salt. 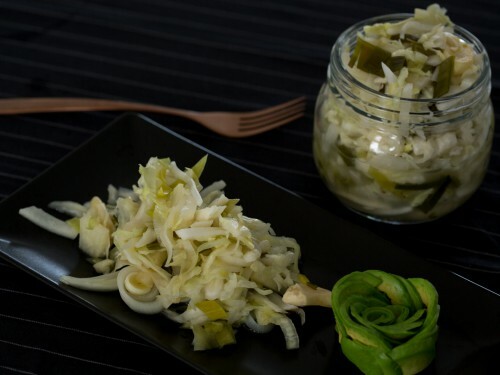 It’s so much easier to achieve almost the same taste with sauerkraut and dill. 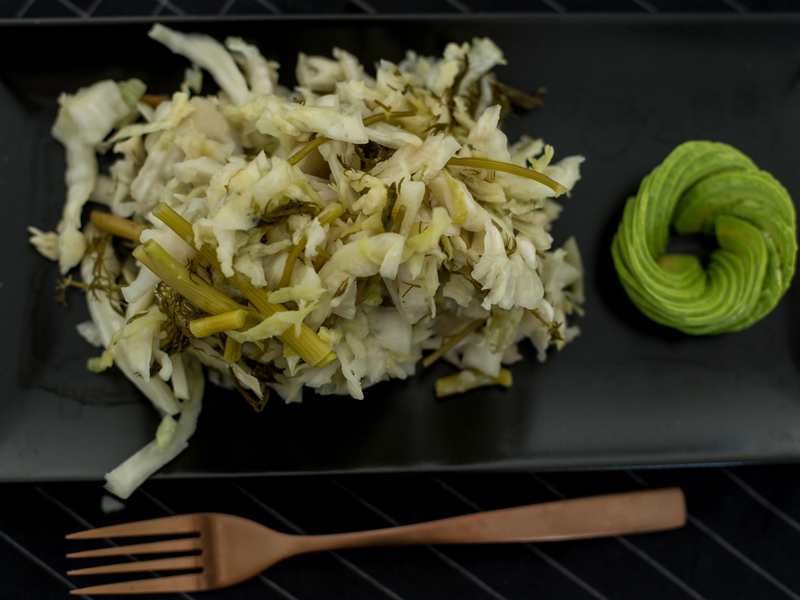 I almost always make just a basic pure cabbage recipe, sometimes I feel like adding different spices and herbs. Never ever one should assume that spices that you hate will make the sauerkraut better later. Only use your favorite ingredients. Combine the ingredients massaging them for a minute. 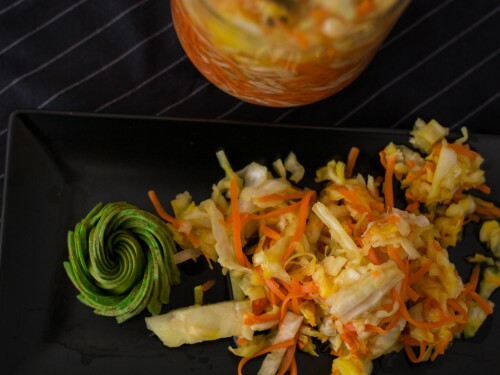 Place into a glass jar and fill the jar up with water so the water covers the cabbage. Leave at room temperature covered with a not too tight lid for 3-5 days. 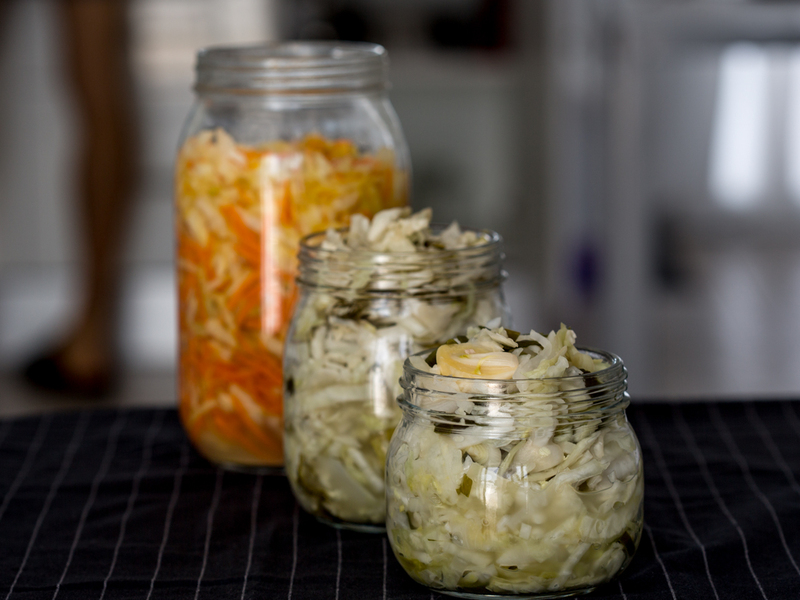 Check on your sauerkraut, when fermented to your liking, keep it in the fridge. Make sure to clean everything properly. The water should be pure, chlorine-free. The salt I use has no additives, just pure sea salt or himalayan salt. Please, can you tell us what size jar you are using..it affects the salt water ratio..ty!